Putting your stuff into storage may seem incredibly straight forward. Step one: Put things in boxes. Step two: Put boxes in a place. Step three: There is no step three. But that depends largely on how much you care about the things you are putting into storage. If you’re going travelling, or moving into a smaller house, or for any other reason need to put the mass of furniture, valuables and keepsakes that make up your life into storage for a while, you’re going to want to make sure that they’re all in one piece when you eventually come to collect them again. To make sure your collection of priceless vases, giant flatscreen TV and Chippendale furniture all come out of storage the way they went in, follow these simple rules. One of the most common causes of minor wear and tear when putting things into storage is simply that you try too hard to cram everything in. Think carefully about how much stuff you’ve got, and how much room you’ll really need to store it all comfortable. A good rough guide is that you’ll need around 50 square feet of storage space for every room of the house you’re packing up. So if you’ve only got a bedsit to pack up you should hire between 50 and 75 square feet of space. 75 to 100 square feet will do for a two bedroom flat, while you’ll need between 150 to 200 square feet if you’re packing up a whole house. As well as making sure there’s enough room in there, you want to make sure that, without putting too fine a point on it, your valuables don’t get stolen. If the worst should happen and someone does break into your storage unit, it’s best to keep your valuables stored at the very back of the room. Then create a barrier using your heavier boxes and bits of furniture. This makes it a hassle for you to get to your more valuable items, but it makes it harder for anyone you don’t want poking around in there as well. On top of storing things closer to the back based on how valuable they are, you also want to make sure the heavier items (that you aren’t using to create a barrier for thieves) are stored closest to ground level, with lighter items on top. This tops the risk of heavier items squishing everything beneath them. Some of the items you’re putting into storage will deteriorate if neglected for a long amount of time. For instance, bikes, metal equipment or tools will rust if they’re left to their own devices for too long. This might just seem like an occupational hazard of packing your life away into a self storage warehouse. However you can prevent this by wiping an oily rag over them before you place them into storage. Similarly, if you’re storing appliances such as fridges, microwaves or washing machines, you can prevent unpleasant things growing inside them by wedging their doors open to keep the air circulating. Follow these tips and when you do return to your belongings you should find them in much the state that you left them. 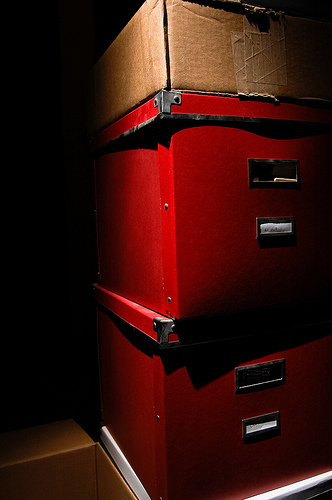 Sam Wright is a freelance writer who covers self storage, removals and emigration advice. Furniture items play a key role in ornamenting your home. During home relocations or renovations they could be stored in storage houses in order to prevent damage.